As we are nearing the end of summer, all I can think about is the fact that cooler months are on the horizon (thank goodness!). DC has been a sweaty humid microwave for what honestly feels like forever. It's been tough being cooped up inside for much of the summer due to the excessive heatwave. I have definitely developed dog mom guilt because we haven't been able to take Dolly out on walks longer than 5 minutes for fear of her overheating. While I am certainly looking forward to the impending Fall season, I have still had many moments over the past few weeks (when not glued to the TV cheering on Simone Biles of course) to discover a few new favorite finds to share with you all today. In an effort to reduce my carbon footprint and add to my healthy living, I have been on a mission over the past month for the perfect water bottle. I know this sounds ridiculous, but it occurred to me one day while trying to shop for a water bottle on Amazon that I had no clue what I was looking for and what bottle provided the best value. I knew I didn't want a plastic bottle (for fear of chemical leaching, BPA, etc...), it needed to be practical/functional and fit my lifestyle. After surveying dozens of colleagues at work, all of my friends and family members, and reading way too many reviews I ended up purchasing two water bottles (which I would enthusiastically recommend to anyone). The first is the oh so popular S'well. This is a double insulated aluminum water bottle that claims to keep cold drinks cold for 24 hours and hot drinks hot for 12 hours (I can vouch after testing both claims, this water bottle lives up to the hype). Keeping my drinks hot or cold while at work has been great because it has meant less trips to the kitchen for ice or additional hot water. In addition, I love the oh-so-chic color options offered for this water bottle (totally obsessed with the gold). Drawbacks to the S'well are the price and the fact that it isn't dishwasher safe. The second bottle I purchased is the DRPP Water Bottle (a sister bottle to the BKR). This is a glass bottle that is wrapped in a silicone sleeve, which keeps it protected from shattering if dropped and provides you with a secure grip on the bottle. This water bottle is glass so it's free of any potential leaching issues, is dishwasher safe and slightly less expensive than the S'well. If I had to name drawbacks to the DRPP, it would be the inability to keep drinks ice cold for longer than a few hours. Did you know that the gladiolus is the flower of August? Personally, I had no idea that this was the case but it actually makes sense now that I think about it as there seems to be an abundance of gladioli for sale in every local grocery and flower store. Naturally, it seems very fitting to highlight this gorgeous bloom as one of my favorite finds this month. Gladioli are truly gorgeous flowers that have some serious presence. I love how hearty they are and the added height they bring to a space. This flower comes in an array of vibrant colors, is relatively low maintenance to maintain and very inexpensive to purchase. Not kidding- the gladioli pictured above in front of the window cost me a grand total of $3.99 at my local grocery store the other day. Love love love! Caspari is certainly a go to for me when it comes to finding fab cocktail napkins, tapers, guest towels and other entertaining essentials, but recently I discovered their new line of die cut coasters and am completely hooked! These coasters are offered in an array of patterns, with a laminated top to prevent any warping caused by a sweaty glass and a fabric lined bottom to prevent any scratching on tabletop surfaces. A set of 4 coaster's cost about $14 and let me just say that they are worth every penny! Functional and unique, these coasters are a current favorite in my home. Pimento cheese is one of my go to menu items lately. This southern favorite makes for a delicious hors d'oeuvre spread atop a thin cracker and garnished with either fresh thyme leaves, crispy bacon pieces or even a light sprinkle of toasted pecans. It also makes for an excellent grilled cheese sandwich and is super easy to make! I am a huge fan of Southern Living's recipe for pimento cheese, but if you don't have time to whip up a homemade batch of this delicious spread, Whole Foods offers three different types of pimento cheese spreads that are out of this world! Pimento cheese never fails to be a crowd pleaser with my guests and it has been a great way to shake up my typical entertaining repertoire in recent months. Chefs always seem to talk about the stand mixer being the work horse of kitchen appliances. While it certainly is a work horse, I would have to say that the refrigerator is really the ultimate work horse appliance in the kitchen. 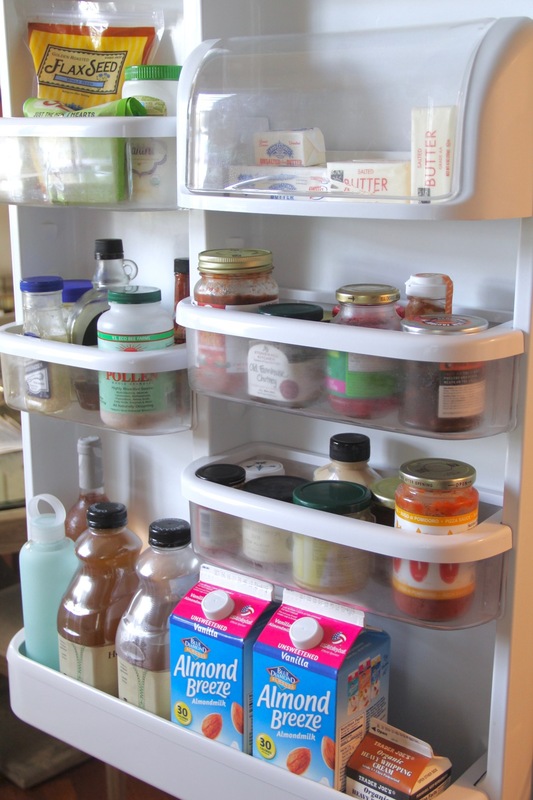 When you take a moment to think about it, the refrigerator is the only appliance that never shuts off. 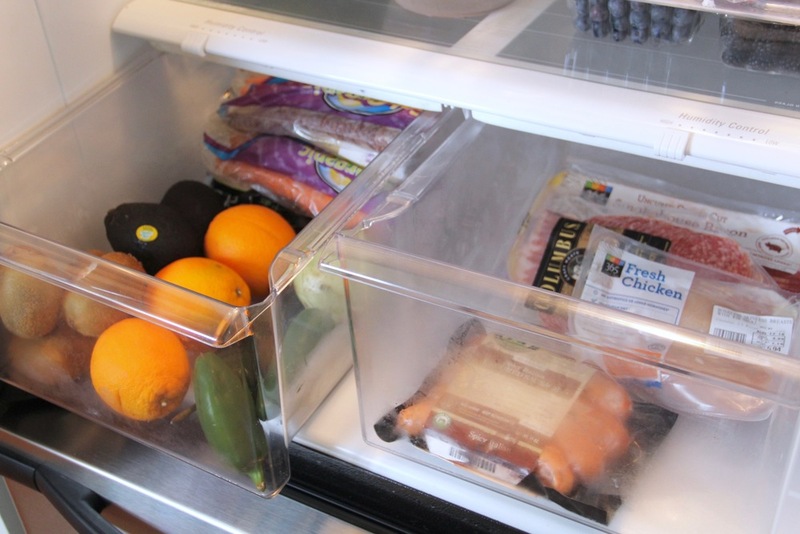 It's constantly in work mode keeping food cold or frozen in an effort to maximize the longevity of your groceries. Being that this is such a critical kitchen appliance, it is important to keep this appliance in tip top shape so that your perishables are optimally stored. For today's post, I am sharing my list of go-to cleaning supplies as well as my schedule for properly maintaining my fridge. I know this may not be a top of mind cleaning chore, but when you stop to really think about the actual importance of the refrigerator in your home, I think you may gain an appreciation for the value of today's post. One thing I absolutely love and cannot live without is my morning routine. I wake up, have coffee/breakfast, tidy the house and hit the gym for a long run while watching none other than my fave Good Morning America anchor, Robin Roberts. While my husband is adamant about tracking the major world issues in the morning on FOX and Bloomberg, I really have no interest in being all serious news all the time. I need more of a mix when starting my day, which is probably why I love watching shows like Good Morning America where you can get a rundown of the major world events, local weather, sports highlights (at a really high level), health news, recipes and lighter bits of information (ex. Steals and Deals with Tori and even a heads up on holidays like National Selfie Day). So why am I rambling on about Good Morning America? Well it just so happens that the show was the inspiration for today's blog post! We all know that I have a serious flower habit and I find myself swooning over the floral arrangements on Good Morning America pretty much every morning. Fortunately, it recently occurred to me that I could probably replicate those gorgeous centerpieces myself! I spent some time studying the flowers in the show's footage and then paid a visit to my local flower supply store. Lo and behold! All of the pieces for creating those gorgeous arrangements were pretty easy to track down and fairly inexpensive. I am sure you are thinking I'm crazy for saying that as you're looking at an arrangement filled with 36 roses. My secret to affordable roses?? Safeway (my local grocery store)! Currently they are selling 18 roses for $12.99, so I paid around $26 for the 36 stems, which is a pretty incredible deal. My attempt at replicating a gorgeous Good Morning America worthy arrangement was a huge success and I am so excited to share this super easy and oh so beautiful DIY with you all today! See below for all of the details on how I went about creating this floral stunner. Place a 6.5-7inch long piece of oasis in the center of the bowl and fill the bowl with tap water, making sure to have the water saturating the entire piece of oasis as it fills the vase to about the halfway mark. I also like to poke holes in my oasis with a bamboo skewer to ensure that water saturates the oasis all the way to the center and also to reduce the level of resistance when inserting the flower stems. Remove leaves from roses and cut the stems under standing water and on a diagonal. I would recommend trimming and arranging each flower one at a time to reduce the freshly cut stem's exposure to air. **Stems that are overexposed to air will die faster, so going one at a time will help to increase the overall longevity of your blooms. Start arranging the bottom perimeter first. These stems can be cut the shortest as they are being placed closest to the water. Once you have completed arranging a row of flowers along the perimeter, repeat the process for the next level up. Noting that with each tier, your stems should be cut slightly longer. When all flowers have been arranged, you can tweak the layers to ensure that they are even and no holes have been missed. This arrangement is great for a dining table, because the low profile of the arrangement won't obstruct your view of fellow dinner guests. Over the past couple of months, my close friends and family have been soliciting my help and ideas for decorating a variety of spaces. First off, let me just say that I am both flattered and humbled to have so many people asking for my input when it comes to decorating. I am by no means a professional and really don't have any training in this area, I am just a lover of pretty aesthetics and constantly reading/researching to keep my finger on the pulse when it comes to interior design. When thinking about my method for going about designing a space, it's really a combination of both process and tips to keep in mind. I know it can seem daunting when faced with designing a space, so for today's post, I wanted to share a few of my best practices for going about designing a space. These tips have helped me to tackle decorating projects of various sizes and specifications, so I thought it might be a good idea to document these tips for you all and of course my own reference! The floor is literally the foundation of a room, which is why I find it to be a natural starting point. I know that some people have tile or wall to wall carpet, so selecting an area rug is not really applicable in those instances. However, the majority of individuals are faced with at least one room in their home where it's necessary to buy a rug. So this tip is geared towards those individuals with an area rug room or rooms (like myself). When decorating a room, I like to start with selecting the rug. Whether I'm looking to add a neutral area rug or a colorful oushak, it's so much easier to lay the rug down prior to furnishing. Doing so will prevent you from having to deal with moving furniture in and out of a room unnecessarily. In addition, the color and style selection for your rug will also serve as a guide for selecting additional colors to incorporate into the room. Ex. Should you opt to have a colorful oriental rug, you can use the colors of the rug as a guide for selecting additional fabrics. Furniture placement in a room is really a balancing act between practicality and achieving a pleasing aesthetic. Placement of a chair or side table for instance, should serve a purpose and fit the space (not look crammed or block a walkway). With that being said, I think it's important to note that you also should consider the safety of the furniture piece when deciding on its placement. I am imparting these words of wisdom because I have recently dealt with a serious case of furniture sun bleaching. Sun bleaching is exactly what you are probably thinking it is, excessive exposure of fabric to direct sunlight will cause the colors to fade and the fabric to tatter/fray. I had placed a blue arm chair by a window in my bedroom so that we could have a place to sit while getting dressed. Unfortunately the window has incredibly strong afternoon sunlight that ended up bleaching the fabric on the arm of my chair (see before and after photos above--chair victim is the closer of the two in the second photo). I would have to say that measuring is probably the most important part of designing a room. Measuring the space will help you to determine what pieces will fit based on the dimensions of the room and ultimately create a room that is properly scaled. Length, depth, width, height, etc... all super important measurements to consider when constructing a space. I really cannot stress enough how important it is to take the time to measure out your room and furniture when designing a space. Furniture is a major investment and the last thing you want is to spend all of this money purchasing a piece that isn't the correct size for the space. For more information on this topic, see this post on my before and after for redesigning my living room space to fit the scale of the room. Another aspect of the room design that can really elevate your space is lighting. 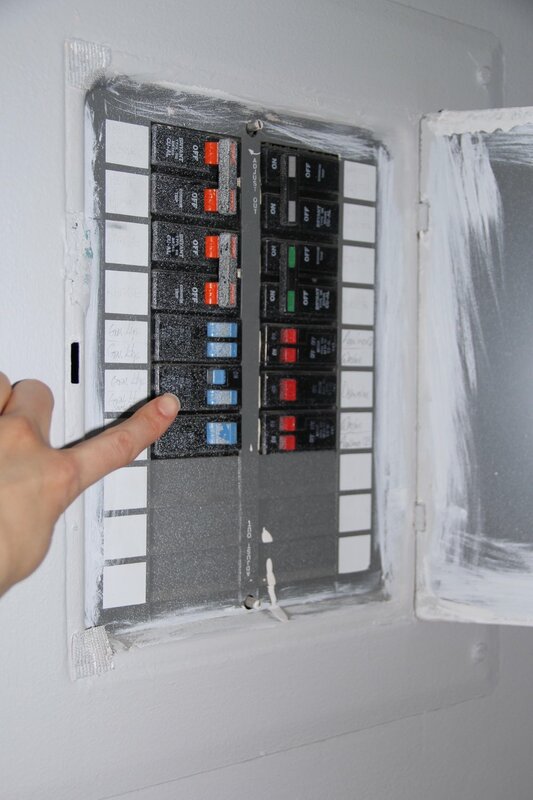 I am a major advocate for investing in quality room lighting. 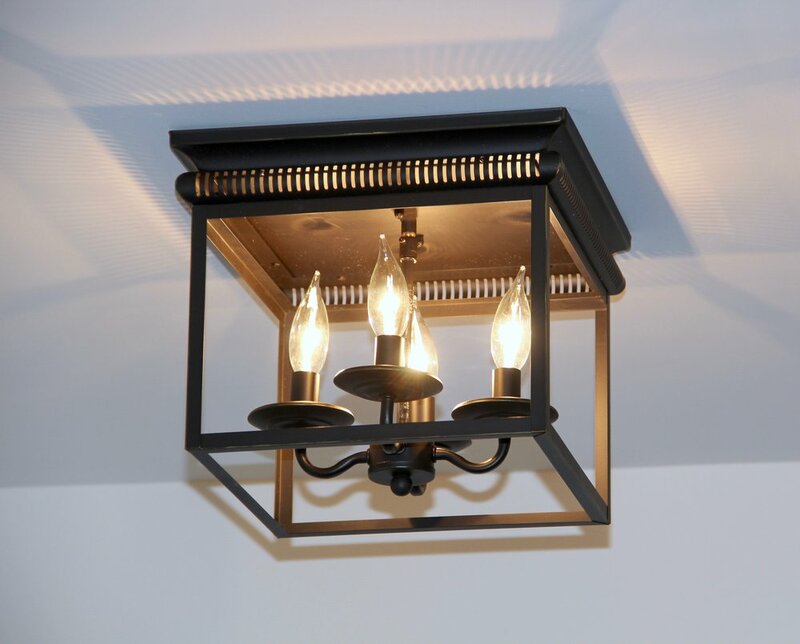 Whether it's lamps, ceiling fixtures and/or sconces, installing the right lighting fixture that complements the aesthetic of your space will help you achieve a beautiful finished look. Since we live in a loft, our living room has wonderfully high ceilings that could support a show stopping fixture. I adore the Focault's Orb fixture from Restoration Hardware and it has really given my living room the most perfect ambient lighting. For the bedroom, I opted for Pottery Barn's Hundi Flushmount mini lantern in our dressing area (which I installed myself--super easy to do) and the hardware on the lantern paired perfectly with black iron hardware used for the window treatments. Lastly, our most recent addition was the 20th Century Filament Sconce installed on our stairway wall. I opted for a more minimalist look when it came to this fixture because I didn't want it to distract from the beautiful artwork. These bubble glass style lighting fixtures are really popular at the moment and I can totally understand why! Modern, sleek, elegant, unique and really versatile. In my mind finishing touches include knick knacks on side tables, ginger jars on window ledges, coffee table tray decor, wall hangings and even throw pillows and blankets in certain instances. These are the easy and often interchangeable add-ons that you should wait to purchase until after the bulk of the furnishing is done in a space. Reason being, you never know how a room will end up coming together. Maybe you see a chair on one wall one day and then decide that it would actually look better on the opposite wall the next day. Finishing touches are just that, the very last things that you should be concerning yourself with when decorating a space. You'll have the best idea of what final finishes you need to fill in spaces once the bulk of the furnishing is complete, so I strongly encourage you to hold off on the tchotchke purchasing until the furnishing portion of your decorating project is complete.